After your children are done passing out their Valentine’s with their friends in class, bring them to one of these fun Orange County Valentine’s Day events. Whatever event you choose, your children will love spending Valentine’s Day with you at one of these fun events in Orange County. 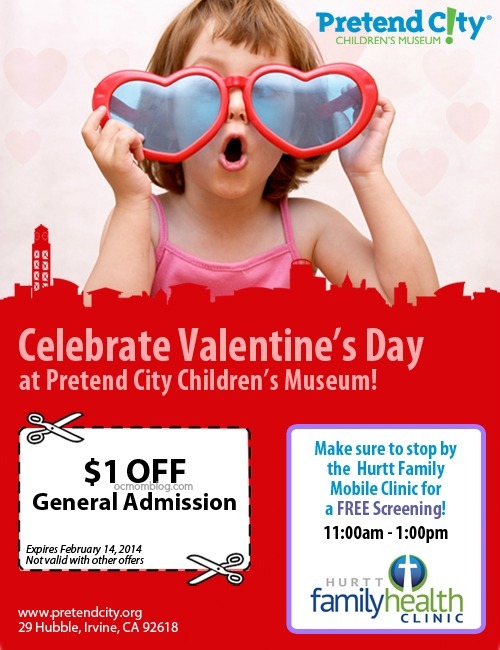 Celebrate Valentine’s Day at Pretend City from 10am to 4pm on February 14th. Children will be read “The Kissing Hand,” create a love poem and do a holiday craft. All of the activities are included with the price of admission. Parents can enjoy a special night out on Valentine’s Day, while the kids are having a blast at the Creative Learning Preschool. The event will include dinner for the kids, games, movies, and more. Children ages 1-13 are welcome from 6pm to 11pm. The cost is $20 per child, and $10 for each additional sibling. Valentine’s Day storytelling morning at the Bower’s Museum from 10:30am to noon. Children ages 2-6 years old are encouraged to come with an adult to this fun event. 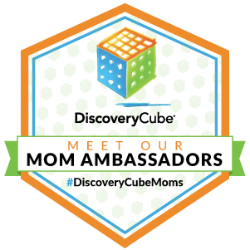 The event includes playtime in Kidseum, and camera are encouraged to bring. The event is $10 per child (members), and $12 per child for non-members. Have children who love their dog? Have them bring their best friend to the Irvine Regional Park on February 15th for the Paws for Fur walk on February 15th. There will be a Hearty Hound 5K, Dawdling Doodle 1 Mile Walk, and FURever Yours Expo. A portion of the funds will benefit Susan G. Komen Orange County. Children under the age of three are invited to a special story time at the Irvine Heritage Park library. The event will be on February 14th from 10am to 10:30am. If your kids are in the CapoUSD or SaddlebackUSD we know that all your kids are out of school. For your little fashionista the Fashion Camp is offering 1/2 day and full day camps. The 1/2 day camp is $49, and children will make a chain strap purse, and the full day camp is $99 where kids will make a PJ Pant. Reservations are recommended, and camps are being offered at both locations. Know of an event we missed? Leave the info in the comments below, and thanks for helping to make OC Moms awesome!